Culinary Delights from My Kitchen: Paneer Zaiqedaar...a creamy luscious mughlai delight! 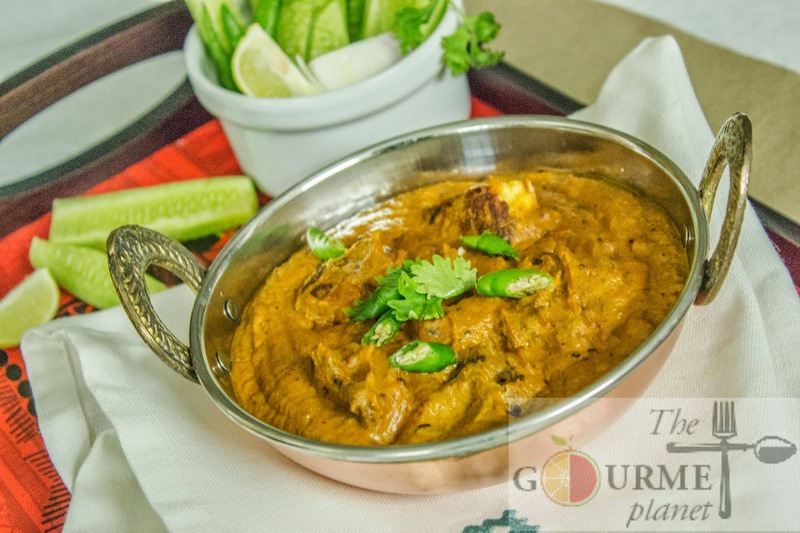 Paneer Zaiqedaar...a creamy luscious mughlai delight! India is home to a huge population. A population which in true sense can be called as 'Diversified'. We belong to a nation who takes pride in its rich heritage and unanimously work towards the progress of the nation's better future. A secular country where the people belong to different regions and follow native cultures and abide by their reverend religions. India is an epitome of versatility and has huge potential to excel in every field. Ancient Indian Architecture, Indian Classical Music, Plethora of Indian dance forms and many more epitomizes our rich background. Not to forget, the Indian cuisine which is famous round the globe for its wide variety as it encompasses varied regional cuisines native to Indian subcontinent. A lot of cuisines in India are native to specific regions while some have been a result of historical incidents such as foreign invasions, trade relations and colonialism, which played a significant role in introducing certain foreign foods and culinary techniques to the country. India had a Golden age era which was when the country witnessed multiple invasions but while the invasions had there own pros, the two significant benefits have been witnessed post Mughal invasion and British rule. The former lend us a rich cuisine to cherish for all the years ahead and the latter gave us infrastructural developments. Talking about the former one, the mughal cuisine, now represent the cooking styles mostly followed in Northen part of India. Mughlai cuisine consists of the dishes that were prepared in the kitchens of the royal Mughal Emperors. Some of the Mughlai dishes have names such as biryani, pulao, kebabs, kofta. This is suggestive of the strong influence of Muslim cooking style in Mughlai cuisine. 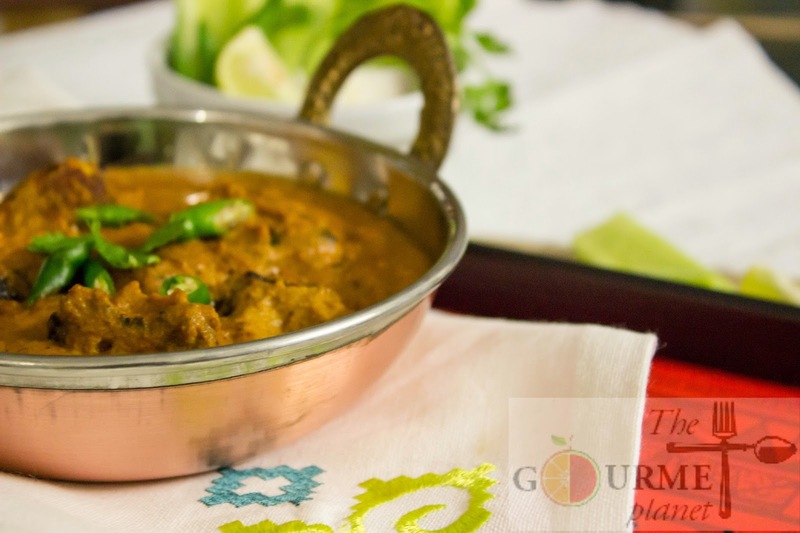 The Mughals have truly left a long lasting influence on India, which is also reflected in the cuisine of India. Since the Mughlai food occupies a commanding position in the popular cuisines of India, I bring to you my second share on Mughlai food which belongs the category of 'Kormas'. Kormas are curried dish prepared from yoghurt and nuts and hence the rich flavors makes it a perfect dish for celebration dinners in your family. NOTE: How to make caramelized onions? Finely slice onions. Heat oil in a skillet and once the fat begins to ripple, throw in the sliced onions and constantly saute or swirl the pan to avoid onions from burning. Adding a pinch of salt seasons the onions at the same time it speeds up the caramelizing process. Continue stirring and watch as the onions' color turns darker and darker. Once the onions look dark brown in color, they have been caramelized. Turn off the gas and use it for any preparation. 1. Mix paneer and all the ingredients (listed under marination) in a bowl and let it marinate for 3-4 hrs. 2. Heat oil in a pan and stir-fry all the cubes of paneer until they are slightly golden. Transfer to a paper towel, leaving as much oil as possible in the pan. Reserve the oil. Set the paneer aside. You could also grill them in oven or tandoor. 3. In a mini-blender, combine the caramelized onions, water, curd and roasted almonds and green chillies into a thick paste, . If necessary, add more water for a smoother flow. Set aside. 4. Heat oil in a pan. Add shah jeera , ginger garlic paste, black cardamom and saute till they look slightly roasted. 5. To this add the curd-onion mixture and saute for sometime. 6. Add turmeric powder, coriander powder, red chilli powder and garam masala and saute for 1-2 minutes till the raw smell disappears and the mixture becomes dry. Cook until fragrant. 7. Add the pureed tomatoes and stir continuously till the raw smell disappears. 8. Add cream and add about 1 to 1-½ cups of water. Bring to a full boil, then lower the heat to medium-high. 9. Add the pan roasted paneer. Cover with a dome-shaped lid to enable the steam to fall back in the saucepan. Simmer the gas and let it cook for about another 10 minutes. 10. Season with salt. Cook for another 5 minutes without lid. 11. By now the korma would have thickened and would have turned into nice brownish red color. 12. Transfer the korma to a serving bowl and garnish with roasted cashews and raisins and sprinkle some finely chopped coriander leaves and green chillies. 13. Serve hot with mughlai parathans or butter naans.